Personal data means any information capable of identifying an individual. It does not include anonymised data. In this section we cover the data we collect, for what purpose and on what ground we process it. Communication Data includes any communication that you send to us whether that be through the contact form on our website, through email, text, social media messaging, social media posting, live chats or any other communication that you send us. We may also record telephone calls for training, legal and quality purposes. We process this data for the purposes of communicating with you, for record keeping and for the establishment, pursuance or defence of legal claims. Customer Data includes data relating to any purchases of goods and/or services such as your name, title, billing address, delivery address email address, phone number, contact details, purchase details and your card details. We process this data to supply the goods and/or services you have purchased and to keep records of such transactions. User Data includes data about how you use our website and any online services together with any data that you post for publication on our website or through other online services. We process this data to operate our website and ensure relevant content is provided to you, to ensure the security of our website, to maintain backups of our website and/or databases and to enable publication and administration of our website, other online services and business. Technical Data includes data about your use of our website and online services such as your IP address, your login data, details about your browser, length of visit to pages on our website, page views and navigation paths, details about the number of times you use our website, time zone settings and other technology on the devices you use to access our website. The source of this data is from our analytics tracking systems. Marketing Data includes data about your preferences in receiving marketing from us and our third parties and your communication preferences. We process this data to enable you to partake in our promotions such as competitions, prize draws and free give-aways, to deliver relevant website content and advertisements to you and measure or understand the effectiveness of this advertising. We may use Communication Data, Customer Data, User Data, Technical Data and Marketing Data to deliver relevant website content and advertisements to you (including Facebook and Google Display adverts or other display advertisements) and to measure or understand the effectiveness of the advertising we serve you. Our lawful ground for this processing is legitimate interests which is to grow our business. We may also use such data to send other marketing communications to you. Our lawful ground for this processing is either consent or legitimate interests (namely to grow our business). We receive data from other marketplaces, including eBay and Amazon based outside the EU, so that we can process orders placed on those platforms. You can ask us or third parties to stop sending you marketing messages at any time by logging into the website and checking or unchecking relevant boxes to adjust your marketing preferences or by following the opt-out links on any marketing message sent to you or by getting in touch on our contact us page. Payment providers such as PayPal and Sage Pay so that they can process payments on our behalf. 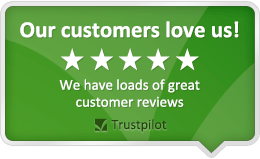 Independent review sites such as Google and Trustpilot which puts customers in control of their feedback. Couriers so that they can deliver orders on our behalf. If you wish to exercise any of the rights set out above, please email us at privacy@yourspares.co.uk. For more information about our privacy practices, if you have questions, or if you would like to make a complaint, please use our contact us page.